Discover tips, tricks, and best practices to implement a successful business intelligence solution. Learn how to arrange your data to create insightful visualizations and uncover hidden opportunities. So I, like many others present, avert my attention elsewhere attempting to ignore this overly emotional and unprofessional display of frustration. Just based on this natural reaction that I had yelling has already proven to be counterproductive. I’m not coming up with brilliant solutions on “how to solve the problem now” I’m zoning out and wondering how this individual can possibly think his display is appropriate. Perhaps he is under the impression that to be heard one must behave this way. I think he is sadly mistaken. I strongly believe that an intelligent person is able to effectively communicate and inspire others by encouraging communication in a respectful manner. Solving problems and getting things done requires motivation. Correct me if I’m wrong, but I suspect that it is a rare individual that would list “being yelled at” as a strong motivator. In the situation that I describe here the team became motivated when a clear project plan and team structure was laid out by another meeting attendee. The yelling had absolutely no positive effect on the outcome of the meeting and really only served as a waste of time for everyone else. So, if my opinion isn’t already obvious, yelling is absolutely unproductive in meetings. It is unprofessional, demotivating, and in many cases abusive. We, as humans, are simply not wired to respond positively to being yelled at. If you find yourself in this type of meeting I recommend avoiding responding with the same ridiculous behavior. If the situation is extreme you should have the courage to stand up and remove yourself from the situation. It is possible to get reprimanded for doing so, but I personally would rather take the chance and potentially gain respect for standing up for myself tactfully. 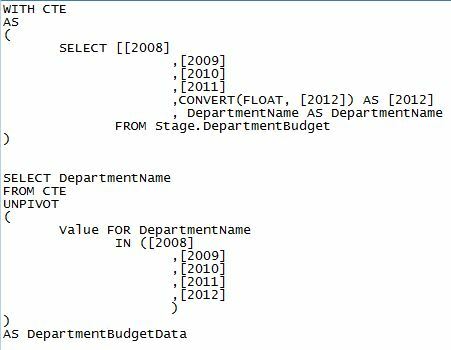 My previous post covered how to create and use a SQL Server Integration Services (SSIS) template. Now you might be wondering why would I use these templates and what are the dangers of using them? The Rain (cons): SSIS templates need to be downloaded to every local machine that you will be developing on and, as addressed in my previous post, it must be stored in the assigned template folder that was chosen in your SSIS install. I recommend saving the original template on a shared network drive to allow for easy access. Also, when you are using your template for a new package you must generate a new GUID, otherwise SQL Server will be unable to differentiate between your new package and other packages with this same GUID. In my opinion the most dangerous aspect of using SSIS templates is the potential for losing consistency. It is inevitable that your template will require alterations before the completion of a project. In this event you would of course save the altered template on the share drive and instruct your team members to download the new template and update their local copies. Some team members may fail to do this (maybe they are on vacation, or the timing is inconvenient) and continue developing on the old template. As the project manager your perception is that all packages are consistent, but as the project comes together some missing pieces may come to light. This scenario results in inefficiency due to extra work and package validation – and of course frustration from all angles. The Rainbow (Pros): Standardization is extremely important in IT projects because (as we all know) the project will continue to grow – Instead of “scope creep” should we say “scope sprint”? Consistency of design helps keep the project extensible and easier to maintain. In addition, if a key team member gets hit by a bus, standardized designs will be easier to document and communicate when other team members need to be trained. Other than standardization, SSIS templates are highly efficient. Once the initial template is created your developers will be able to start with a package that already has standardized logging mechanisms, control flow tools, and indirect package configurations. As a developer of SSIS packages I’m sure it is clear how much time would be saved if you didn’t have to set these components up with each new package you create. The Pot of Gold (overcoming the cons): You have the option of taking a precautionary step using a Team Foundation Server (TFS). Your lead developer can utilize TFS source code control and set team standards for downloading updated templates. This product offers the capability to track old versions of the template while allowing a developer to “check out” the package for editing and saving. This additional step in utilizing templates has the potential to save you and your team from a lot of headaches. Keep in mind that using the TFS product will not solve the problem is team standards are not set and adhered to. Thanks for reading; I hope this has been insightful. Have a great day! SQL Server Integration Services templates can be a great time saver when creating multiple ETL packages for your business intelligence solution. In this video I will demonstrate how to create and use these templates. First you will start a new project. Open SQL Server Business Development Studio, navigate to File > New > Project. A New Project window will open. Navigate to Business Intelligence Projects > Integration Services Project, name your project and select OK. The name of your project should correspond to your intended use of the template. Next you will build your template by adding the items from the toolbox that you wish to include. These should be items that will be needed for each use of the template. Now you will be able to access and use your SSIS template. Open a new SSIS project and navigate to the solution explorer pane. Right click on the project and select Add > New Item. 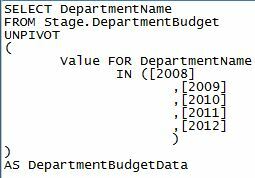 This will pop up a box that allows you to select your newly created SSIS template and add it to your package. There are many great benefits to using SSIS templates as well as some dangers. I will explore each of these areas in my next post. I hope this has been helpful, have a great day! Project managers will shudder at the thought of this phrase, but sometimes accepting failure and moving on is the best choice. PMs will hesitate considering their personal reputation, the reputation of the IT team, job security, and sunk costs. As projects begin to slip past deadlines and go over budget those involved sense the risks that are accumulating. As this continues and executive demands increase it becomes more apparent that the project is in serious trouble. Systems are not seamlessly flowing, technical implementations are not working, and the roles of the project team members are becoming fuzzy. When is it time to pull the plug? Hind sight is 20/20 as they say and at this point you and your team are probably seeing a much more viable solution than the project that you have currently under taken. It’s time to take out your ROI and risk assessment calculators. Also it’s a good idea to review any contracts that you may have signed with vendors for this project. Consider this: How much have you already spent versus how much more will it likely cost to complete this project? Obviously the original time estimates were inaccurate so try to use more realistic estimates based on the pace of the project so far. Can you get out of your vendor contracts? How much will an alternate solution cost? Remember REALISTIC estimates here. Is it possible to get the project back on track? There are hundreds of books that outline the reasons why IT projects fail. Use some resources to pinpoint what may have happened in this project to determine if you should call it quits or attempt to remedy the situation. In the end, if the project is a failure you have to accept it, deal with this reality, and learn from your mistakes. It may be a good idea to revamp your project team and find an experienced PM mentor to help plan for round 2. This will be your opportunity for redemption where you will be able to plan and manage the project in a way that increases the chances for success.